It is not the business of Israel, although it seems to be the business of the politicians of Israel, to hector and harass President Obama about the release of Jonathan Pollard, who served as a certified espionage agent of the Jewish state in and against its one truly reliable ally, the United States of America. Maybe Pollard’s sentence was a bit harsher than it should have been. But I don’t even concede that. In any case, there are probably hundreds of thousands of convicts now in jail who can argue that their prison sentence was not equable or even just in the first place. Of course, that’s what the Pollard enthusiasts are saying. Frankly, I find it disgusting that so many Israelis and so many American Jews, too, have the chutzpah to besiege Obama with urgent demands to release Pollard now. Sunday, it was Shimon Peres, presumable in his inimitably unctuous way. Next, it will be Bibi Netanyahu, for whom Pollard’s liberty is one of the dozen earnests his righteous coalition allies have dragged out of him. And isn’t Avigdor Lieberman among the truly righteous? As Bibi surely knows, these folk have no end of exactions on their agenda. One of the reasons that they are so eager to press their case is to show how far and how much they can push the prime minister. Pollard is no hero of Israel, whatever his adulators may say. He was paid for his filthy work which, in any case, he had offered to do for other countries, including Judaeophobic Pakistan. His moral profile is, then, truly disgusting. The president has been on a long learning curve with reference to Israel and both its democratic loyalties and strategic importance. This uneasy trajectory, I am certain, was neither straight nor fast, given especially the “progressive” political circles from which he emerged. He should not be asked to free a spy against our own country to prove again that he has become and is an understanding friend. We haven’t heard much from Jordan, have we? Well, now we have. There are alive two King Abdullahs, one in Saudi Arabia, a descendant of a tribe of commoners, the Al Saud. The other monarch with the same name, but with a “II” after it, is the sovereign of Jordan, the son of King Hussein (beloved by nearly everyone save the Palestinians) and, most significantly, a descendant of the Prophet. You probably know the story. The Brits, by which I suppose we mean Captain Lawrence, thought themselves indebted to the Al Saud because of their help against the Ottomans during World War I. Thus it was that the Al Saud inherited the Empty Quarter and beyond, and they now do business with the world as its gas station. Very rich, Wahabi pious, entrapped in a curious strand of heterosexuality: No women in their lives except in bed. The Jordanian king is not made of the same mettle as his father, and he is not especially liked by his people. The queen is hated by them. She is also quite beautiful. 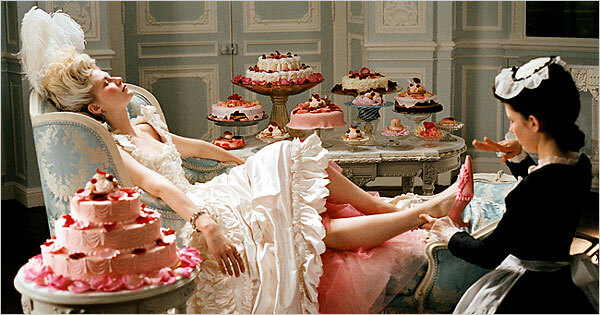 Like Marie Antoinette, at least in the movies. Actually, Queen Rania is gorgeous. She is also extravagant, and her husband can’t quite afford this. In fact, he can’t quite afford it at all. People went into the streets—but not to celebrate—after one of her lavish parties. And her husband was forced to appoint two cabinets in the year 2011. Despite the discontent, the flowers did not quite bloom in Jordan last spring. But the anemones are blossoming on both sides of the river right now. In the kingdom, however, it has not only been accompanied by general discontent but by actual challenges to the monarch and the Hashemite dynasty, descended from the Prophet though it may be. One aspect of this particular discontent is that it is directed at Palestinians in Jordan. Of course, Jordanians weren’t anything other than Arabs until the British foisted the Emir of Transjordan on them after World War I. Much as the newly self-named Palestinians weren’t more than Arabs until they appropriated the symbols of Jewish Palestine unto themselves. The truth is that they want both countries plus Gaza. Palestinian imperialism, shall we say? Now, Abdullah II is not that sympathetic to Palestinian nationalism. He knows that Palestinian nationalists are trying to make him an instrument of their aims … or nothing. 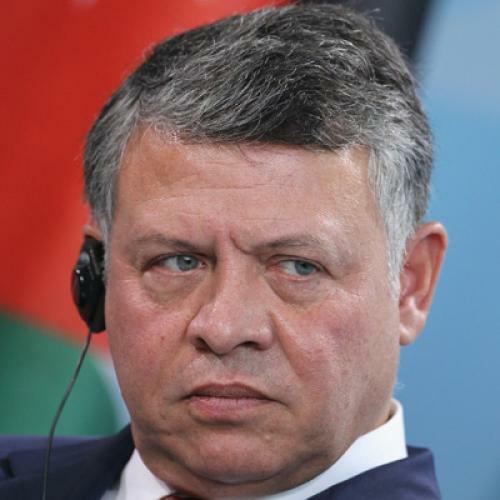 The Jordanians, which is to say mostly native Bedouins and now Islamists, have come to despise him because he wants a compromise with all the people who hail from west of the river, a compromise with both the Jews and the Palestinians, the Palestinians in Jordan, that means. Wait for the civil war to come. Do you recall “Black September” in 1970? To be sure, many of you were not yet born. Anyway, it’s when the Palestinian Liberation Organization rose against King Hussein. Hussein’s troops smashed the revolt and the revolters, driving several hundred thousand Palestinians into Lebanon where they are still. A grumbling group not allowed to work or to vote, their refugee status going back so many decades that no one actually knows why they are in screwed-up Lebanon in the first place. Yasir Arafat said that from 10,000 to 25,000 Palestinians had been killed by Jordanian troops. Probably a characteristic Arafta exaggeration. Syria tried a tank intervention. Israeli aircraft stopped them in their tracks. This is a part of Jordan’s past. It would not be a bit surprising if it were to turn out to be an auguring of its future. In the end, Pastor Jones and his fanatic chorale of nutcase Christians burned the Koran even after Defense Secretary Robert Gates had pleaded with him not to. As I wrote twice in this space, what the Obama administration should have done was to seek an injunction against the destruction of religious books, an act that has a long and ugly history, a very ugly history. Maybe I am particularly sensitive to this because Jewish books have been long-time kindle for this fire, from the Hebrew Bible to the Talmud right up to secularists Albert Einstein and Sigmund Freud and their pious confreres Franz Rosenzweig and Martin Buber, who, had they still lived in Germany, would have gone into the pyre as well. Well, there is a problem with Rosenzweig: He died in 1929 and he also saw Islam as an antediluvian throwback to paganism. The issue is not neat. In a way, the refusal of the administration to really try to prevent the book burning was cowardice. It would have offended the ACLU sillies who were already furious at President Obama’s retreats from campaign promises he had made about Guantanamo and legislation passed during the Bush administration. Indeed, the civil liberties union had inserted itself into a case in Michigan, where authorities had tried to obstruct the blessed reverend’s intention to burn someone else’s holy book, by forcing him to provide a “peace bond” sufficient to cover the cost of policing. The union won its case. There were several instances of such provocations and legal confrontations around them. None actually stood up to the issue of the freedom to torch ideas at the stake. Elevated freedom, huh? At the time, there were manifestations all over the world against these firings of the holy tome of Islam, which claimed many lives. And now we are faced with the awkward situation that six American soldiers stationed in Afghanistan are accused of what everyone sees as a noxious act. Of course, it is a noxious act … if the soldiers actually realized or internalized that there were copies of the Koran amidst the thousands of books which they were to dispose because security officers suspected that Afghan detainees were using hand-written messages in them to facilitate all kinds of transgressions. You can find a clear narrative of the situation in Alissa J. Rubin’s New York Times story, “Chain of Avoidable Errors Cited in Koran Burning.” But, of course, this is not the Afghan readings, of which there are at least two, one harsher than the other. Yes, the president has apologized and so has everybody else. Apparently, however, apologies don’t count in Afghanistan or, for that matter, in other Muslim countries like Pakistan where the burning of Islamic sacred texts has terrible resonance. And why not? We have seen plenty of images of symbolic pieces of Christian, Jewish, and American culture trampled and otherwise destroyed in Muslim countries. Still, it is not the American way. But, if it is not our way, why should we not have said it from the beginning? Indeed, had the Department of Justice asked the Supreme Court (or, even as starters, one justice) for an injunction against Terry Jones it probably would have gotten it. Army personnel in a war theater, which the president had heated up for political purposes but really wanted to liquidate, as we can see, would have had no difficulty in seeing that the torching of a Koran was also the propagation of a crime. That it was not protected by the Constitution or the Bill of Rights. Do you really imagine that the First Amendment gives the cover of protection to destroying the Hebrew Bible, the New Testament, the Koran?